A central knowledge base for new and casual cyclists which aims to promote the best advice, resources and tools via scoring and contributions from the cycling community. Less time searching, more time to enjoy cycling! Our mission is to encourage more cycling by removing knowledge based barriers and the perception that cycling is a niche activity undertaken by specific types of people—everyone is just trying to get somewhere (safely). 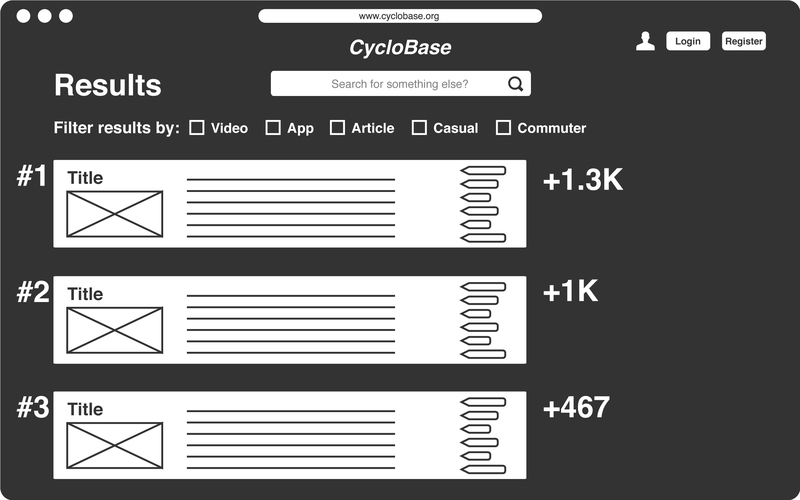 CycloBase offers a unique platform for new and experienced cyclists to share, collaborate and cycle. The platform will organically grow with cycling related media, applications and tools being suggested by cyclists for cyclists. The submissions are tagged by their topic then categorised by media type and cycling proficiency level before being rated by the community. This allows cyclists to access knowledge on a level that best matches their experience. 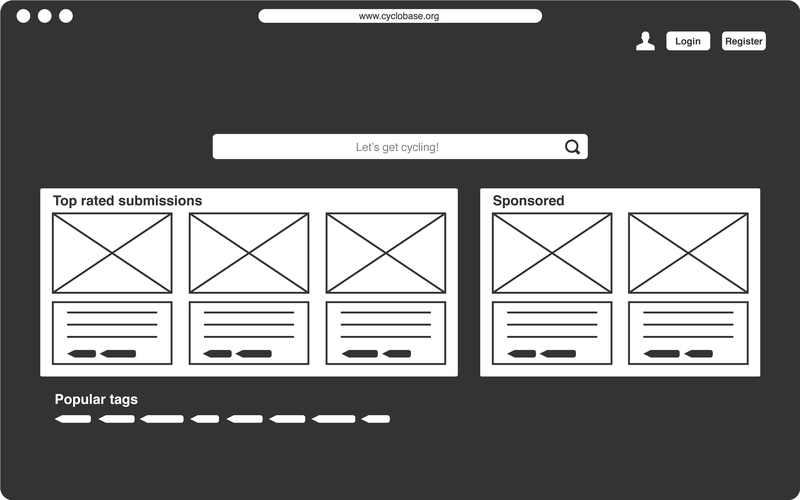 The platform is free to use for anyone around the world, and cyclists only have to register if they want to add content to the community or rate content that they found useful or not. Content will be localised for the country the viewer lives it to make it more relevant in terms of language, local authorities, and other cycling bodies. Results will be ranked based on their highest user rating and their relevance to the topic or question the user searched for. These results can then be further refined with an option to filter by content type, proficiency or topic tags. Cyclists who submit and rate content are awarded accolades as a way of recognising their contributions to the community. Users who want to get hands on and create new tools and solutions can search for open data, use cases, and ideas. 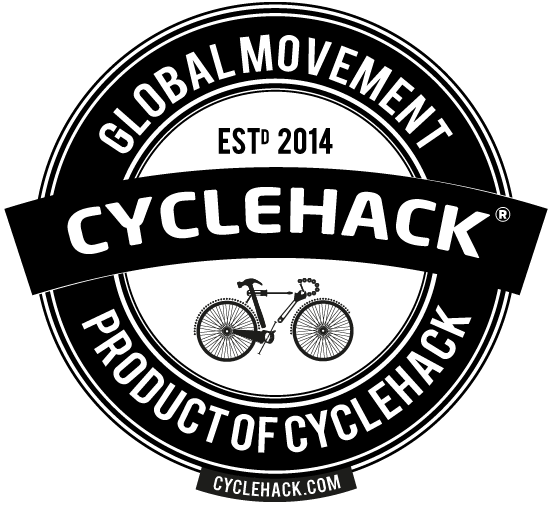 An example of a submission in this category would be the CycleHack Global Catalogue.